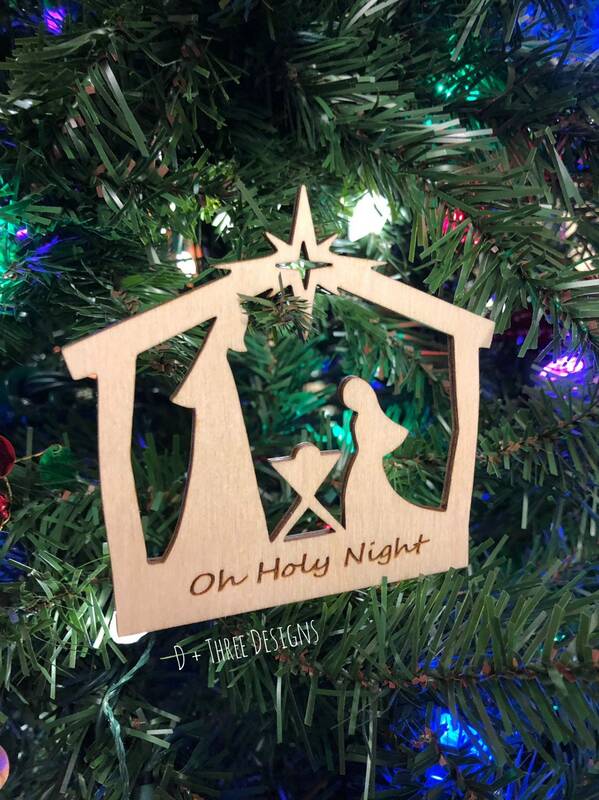 This Christmas manger scene has "Oh Holy Night” engraved on it. 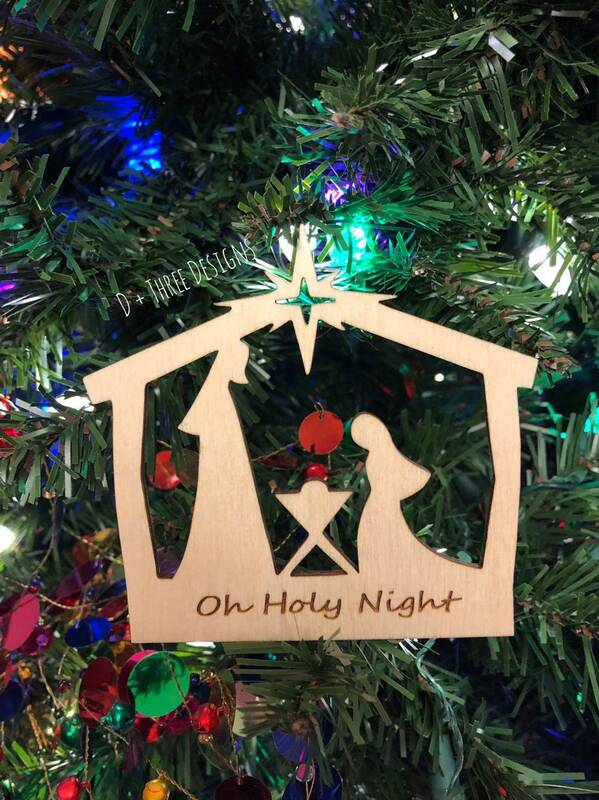 The manger scene is cut from 1/8" wood and comes as pictured. 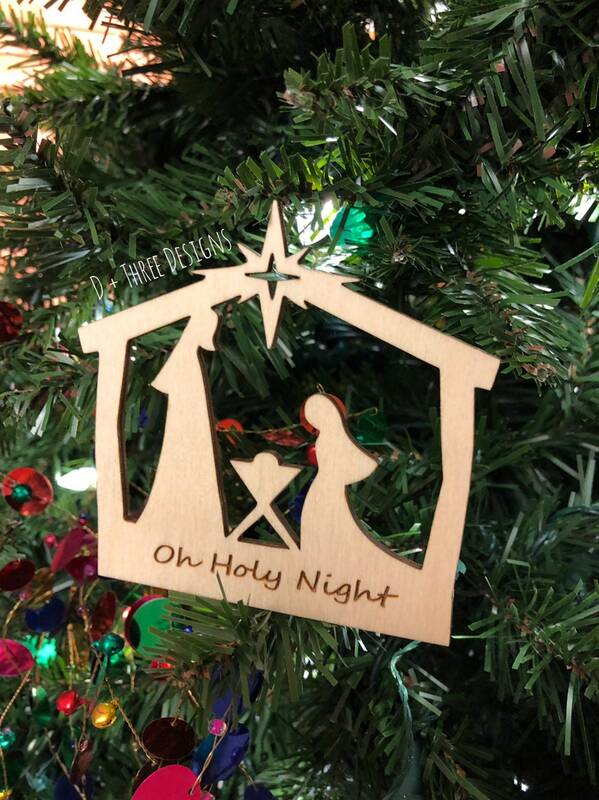 The manger scene measures approximately 3.5" tall by 3.5" wide. All you need to do is at some butcher string, a metal hanger, or twine if you'd like to hang it. The manger scene will rest on the tree branches.